In the second update this week, we see a whole bunch of new content added to donation boxes as well as a great new way to make money for new players! The Brand New Super Mystery Box! Totally revamped with new custom content and bigger and better rewards then ever!!! We have totally revamped the Falling Stars event! 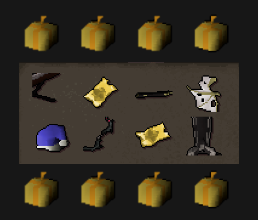 New and Improved loot makes for a great money maker for new players! The Brand New and improved Invictus Box! You can now get your hands on the new buffed vote books! Damn ! looking forward to the voting and falling star ! :D Boxes look nice too ! Lets get this on the go ! Great Updates :D looking forward to seeing all of this in game! Hopefully the fallen star is going to be more popular now! Much needed revamp of obsolete boxes. Hoping to see some more revamps for sure. Whether that be shops or items. 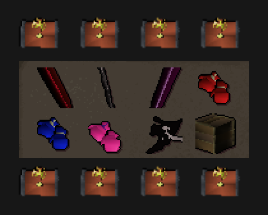 Some items are useless, i mean you can sell to the fountain but 1b is nothing in a game that is 1t+ for useful items. Been waiting awhile to see some revamp of boxes, Good job the dev team to making it possible, So excited to see another lit update. Awesome update to come home to!